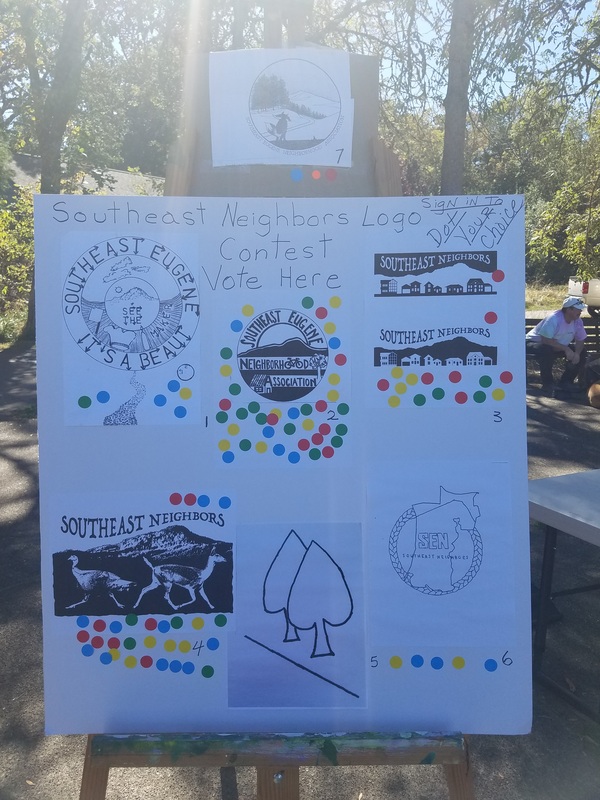 At the Southeast Neighbors Picnic, we set up a board with each of the logo contest entries posted in the order in which they were received. Picnic-goers were given colored sticky dots and asked to place one under the logo entry of their choice. The entry which received the most dots was our winner. Cara Brasted’s design received the most votes. Thanks Cara for the imagination shown in your drawing. We appreciate your help defining our part of Eugene. The Southeast Neighbors Association appreciates the care and talent displayed by our seven entrants and wish luck to all in the future.